Help your kids fight off respiratory tract infections and keep their lungs healthy by building their immunity with these remedies. Lung infections in kids could turn dangerous if not treated in time. Now, a new research by the University of Edinburgh has revealed how tiny organisms in a child’s nose could offer clues to improving the diagnosis and treatment of severe lung infections. When kids get respiratory infections, the composition of the microbiome — bacteria and viruses— in the throat and in the back of the nose undergoes changes. The new findings could help predict the time required for treatment, and recovery and also to determine whether the infections were due to a virus or bacteria and hence reduce the dependence on antibiotics which are commonly prescribed for such conditions. Some of the most common respiratory tract infections (LRTIs) include pneumonia, and bronchiolitis, which are a leading cause of death. The symptoms include shortness of breath, weakness and fever. 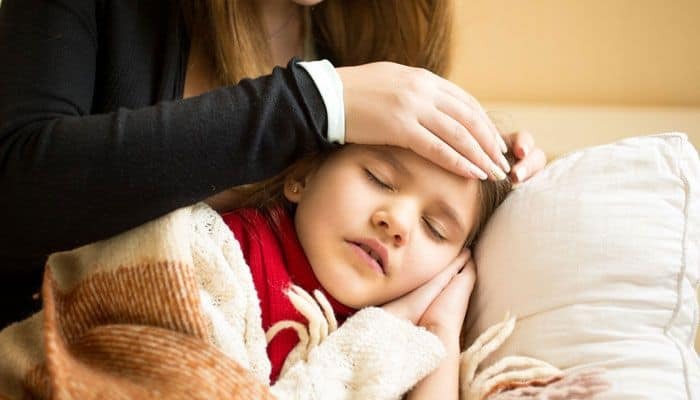 While you must consult a doctor for the suitable vaccinations and resort to antibiotics as recommended by them, there are some measures that you can take to keep your kids’ respiratory tract healthy and prevent infections. The best way to do this is to ensure that your kid’s immunity is strong enough to fight off infections. Healthy diet: Fresh fruits and vegetables, full with Vitamins A, B, C, D, E and other nutrients like magnesium, selenium, zinc, proteins and omega 3 fatty acids are your first line of defence against poor immunity and infections. Make sure that your kids eat these regularly. A decoction of hot water and lemon mixed in honey: This is one powerful delicious tasting drink can have protective properties against infections. This ‘lemonade’ is a great remedy for even cough and cold that you can easily get your kids hooked on to. Turmeric milk: haldi doodh or turmeric latte or ‘golden milk’ has become hugely popular across the west only recently. But we as Indians know how effective this drink is when it comes to your health. Turmeric has been used since ancient times for its antiviral, immunity-boosting properties. Milk provides your body with protein and tryptophan which promotes good sleep among kids which in turn works for making their bodies strong and healthy. Garlic and ginger: These must be regularly included in their diet. Both are known to help fight infections and build immunity. Ginger has expectorant properties which means that it can loosen mucus in your lungs. Allicin compounds in garlic also help the lungs breathe more freely.